Here are a few OOPS Interview Questions for you! 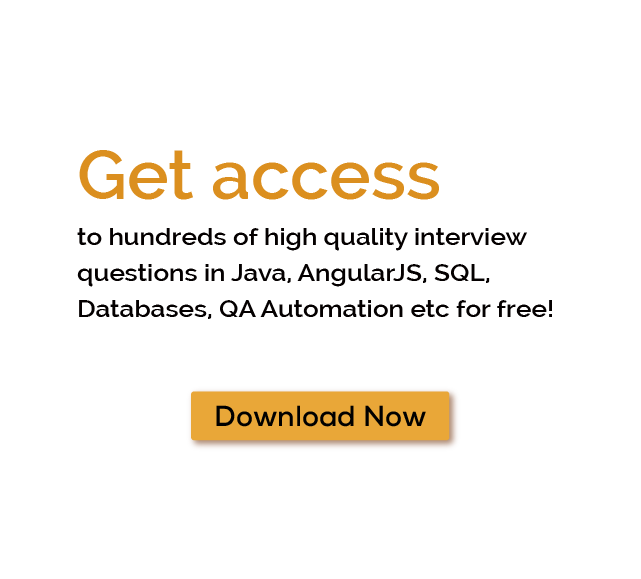 Download more High Quality OOPS Interview Questions! Object-oriented programming structures (OOPS) is a programming language methodology which are organized around objects rather than logic. Earlier, program has been created as a logical procedure which has input data, processes it and produces output data. In the beginning when developer starts with C programming, they were more focused about the logic part, not how to define data. Application of oops are more about objects we want to manipulate rather than the logic required to manipulate them. OOPS concepts with examples of objects range from human beings that can be name, address to buildings and floors down to the little widgets on a computer desktop. An object can be defined as "thing" that can execute a set of activities. The set of activities that object performs refers the object's behavior. For example, hand of a person (object) can grip something, or a Student (object) can provide their name or address. In pure OOP is an object which is an instance of a class. The idea of data class makes it possible to define subclasses of data objects which share some of main class behaviour called as inheritance, this property of OOP enhances data analysis, reduces development time, and ensures more accurate coding. Since a class defines only the data, when an instance of that class (an object) is running, the code will not be able to simultaneously access other program data. This characteristic of data hiding provides greater system security and limits data corruption. The definition of a class is to make code reuseable not only by the program for which it is initially created but also by other object-oriented programs specially for distributed networks. This concept of data classes allows developer to create any new data type that are not defined in specific language itself. An object can be anything that can execute a set of activities. The set of activities that object performs refers the object's behavior. For example, hand of a person (object) can grip something, or a Student (object) can provide their name or address. A class is just a representation of type of object. It can be either plan or template, that describes the details of an object. A class is actually blueprint from which the individual objects are instantiated. Class is composed of three things: name, attributes and operations. Inheritance is an ability to create new class, from an existing class by extending it. As abstraction is closely related with generalization, the inheritance is closely related with specialization. It is very important to discuss these two concepts together with generalization to understand and reduce the complexity. The specialization and generalization relationships are both reciprocal and hierarchical. Specialization is just the flip side of the generalization coin. Polymorphisms means 'many shapes'. More specifically Polymorphisms means the ability to request that the same operations can be performed by a wide range of different types of things. Many times developer think that understanding Object Oriented Programming concepts have made it difficult since they have grouped under four main concepts, but each concept is closely related with one another. So developer has to be careful to correctly understand each concept with understanding how each one of these related with other concepts. Abstraction is basically an emphasis on the idea, qualities and properties rather than the particulars. Abstraction has an ability to hide irrelevant details with use of names to reference objects. Abstraction is the construction of programs. It places the emphasis on what an object is or what it does rather than how it is represented or how it works. Therefore, its a primary means of handling complexity in large programs. The encapsulation is a container of program objects which are required for the object to function, generally this contains methods and data. In OOP the encapsulation is achieved by creating classes which expose public methods and properties. What are basic concepts of OOPS? What is dynamic or run time polymorphism? What are the rules for Method Overloading? Can we override a private method in Java? Object-oriented programming structures (OOPS) is a programming language methodology based on object rather than logic. It has many important features like Object, Classes, Inheritance, Polymorphism, Abstraction and Encapsulation. Some of the many OOPS Interview Questions listed below will help you get an idea about what questions gets asked in such jobs related to Software Engineering & Tech. Get through the OOPS Interview bar with our selected OOPS Interview Questions for all OOPS enthusiasts! For thousands of similar OOPS Interview Questions login to our Website or download EduThrill. Experience the thrill of challenging people around the world on OOPS Interview Questions!